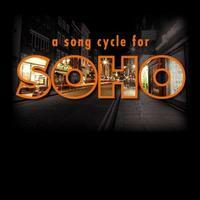 A Song Cycle for Soho explores Soho's rich history showcasing the work of several British composers and lyricists, both new and established, including Douglas Hodge, Christopher Hamilton, Stuart Matthew Price, Dougal Irvine, Susannah Pearse, Tim Sutton and Stiles & Drewe. It runs at the Soho Theatre from 27th February until 3rd March. The West End performers include Michael Cantwell (Passion/Queen’s Theatre, Assassins/ Donmar Warehouse), James Gillan (Wicked/Apollo Theatre, Peter Pan/Royal Festival Hall), Claire Moore (London Road/National Theatre, Miss Saigon/Theatre Royal, Drury Lane) and Niamh Perry (Love Never Dies/Adelphi Theatre, Mamma Mia/Prince Edward Theatre). A Song Cycle for Soho is directed by Mercury Musical Developments associate Simon Greiff, with musical direction from Tony Award winner Sarah Travis.